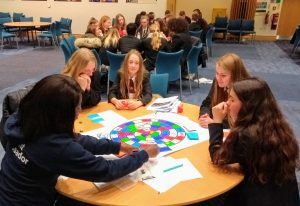 On Monday 12th November a group of students were invited to Newcastle University to find out about life after school. When we first arrived around 9:30am we were taken by team ambassadors to a large room filled with students from other schools. We were then put into groups and got to know our ambassador for the day. A MASH test was then explained, which stands for Money/Academic/Social/Health. This test helped us to see what mind set we had and to see where our strengths lay. After the test and finding out about ourselves, we had the opportunity to have a tour around campus and go inside some of the buildings. We learned that university is very relaxed and were mesmerised by how much freedom was in store for students. Instead of classes everyday at set times, there are only a few lecture classes and tons of reading, apart from that the rest of your time is at your own pace! We also found out that most students decide to live at University with their friends, which is a fantastic, once in a lifetime experience. 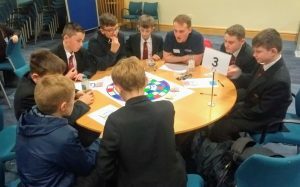 This day was an amazing opportunity and students have changed their opinions about university; many of them are now planning on coming to Newcastle University in the future!